Simonne would love you to join her for the Expert Tele-summit on Improving Your Business. This is a FREE conference held over the phone from September 17 - 19. You can dial in from the comfort of your home or office, and download the recordings if you can't make the call. Simonne is speaking this Thursday 19th September at 3pm BST. 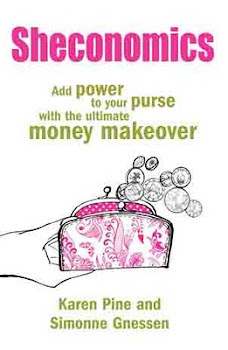 How to Improve your Relationship with Money and your Business using the 7 Laws of Sheconomics. The tele-summit is hosted by Wendy Kerr, of Corporate Crossovers. Wendy has joined forces with the leading women entrepreneurial experts, including Simonne, to help you and your business succeed. There will be 12 experts over 3 days - all calls will be filled with actionable advice you can apply to your business immediately. You will learn about whether your website is legal, how to price for profit and making social media really work for you. And other topics essential for your business. Dressing like your boss can boost your career prospects. I was stunned to witness a clone invasion while lunching in the City recently. A bunch of people on their work break came in, all wearing identical outfits! Every single man wore a suit with a pale blue shirt. And every woman wore a pencil skirt, heels and trench mac. It was sartorial monotony gone mad. So, with my fashion psychology hat on, I pondered.... what’s with the dressalikes? Forget putting in the hours and hitting targets, new research suggests that dressing like your colleagues is the way to boost your career trajectory. Debenhams surveyed 2,000 people on work place dressing recently. Six in ten people (61%) said that dressing like their colleagues created a better team spirit and a higher level of productivity. Debenhams designers, all dressed refreshingly different! 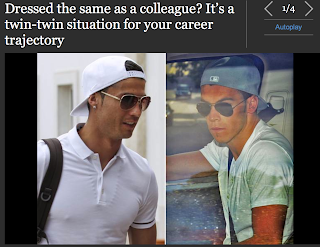 Perhaps this explains the office trend of 'work twins'. Could this be a key look for the new season? More than half of those surveyed said that they were heavily influenced by what their managers and colleagues wear to work. And a third (33%) said their team deliberately bought the same clothes and wore them on the same day! Apparently ‘Checked shirt Fridays’ and ‘Blue Mondays” were popular with men, while female workers were fans of ‘Monochrome Mondays’ and ‘Floral Fridays’. Interestingly the majority of managers surveyed (68%) also said that staff with a similar style to them gained brownie points and were more on their radar. There's a psychological reason for this. Humans tend to be drawn to people who are like them, since difference can be perceived as threatening. People feel safer when they dress alike. They are signalling their need to belong to the group. A team that chooses the same style of dress for work is indicating their cohesiveness and could reflect a wider collaborative culture within the organisation or a high need for conformity. It’s well known that bosses often appoint and promote people who are like them. Boards are renowned for electing members that resemble existing ones. Clothes are a shorthand for who we are and what we are like, and research shows clothes can also change the wearer’s personality. So dressing like the boss may bring out a person’s leadership behaviours. It could even subconsciously influence others to see them as management material. You could say that people who dress like their superiors have found a smart way to get noticed and accepted. This story ran in the press last week and the Independent showed that copycat dressing extends beyond the workplace. Apparently Gareth Bale, when waiting for his dream move to Madrid, started dressing like his new teammate Cristiano Ronaldo in the run-up to the deal! One of my Twitter followers, a guy, pointed out that he wouldn’t be dressing like a boss – as she’s female. Fair enough. And when I did a Jack FM radio interview about this story the interviewer told me their boss is a keen cyclist. They were all thinking of coming to work in Lycra the following morning. I wonder what that did for their promotion chances? Do you know what your weak spot is? Is it the shoe section in Harvey Nicks or those racks of beauty products at the airport? Do you buy more food when you're hungry (who doesn't)? More clothes when you're stressed? More gifts when feeling guilty? More of anything-that-isn't-nailed-down when you're pre-menstrual and have just been paid? People rarely buy stuff for utilitarian reasons. Buying is more often the result of mind-boggling marketing tricks, seductive store layouts and a whole host of biological, psychological and even evolutionary factors. We aren't always in as much control as we'd like to be, as the growing number of people with credit card debts or compulsive shopping disorders will testify. 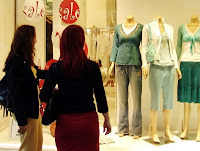 And men and women shop differently, with more women inclined to spend on impulse. Impulse buys are a buyer's curse and a seller's dream. 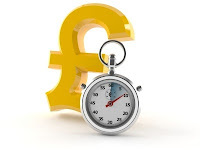 A recent article on the excellent Huffington Post website has captured the Five Big Moments When You're Most Likely to Overspend. You're Mindful of The Time: A slogan that urged people to "spend a little time, enjoy C&D's lemonade," resulted in more people buying a drink, and paying 51% more for it (compared to a those who saw a sign that asked them to "spend a little money"). This 2008 study from Stanford University showed that 'spending time' feels more like buying an experience, not just handing over hard-earned cash. Slogans linked to time, like 'thank Crunchie it's Friday' work in the same way. You're Trying to Avoid The Crowds: You may feel super-organised shopping at 7 a.m. on a Wednesday, when Tesco is blissfully quiet, but your purse could take a bigger hit. Being in a crowd makes us less likely to overspend, according to a Journal of Consumer Research study. We are more focused on getting out unscathed than on making another purchase. I know you didn't come out to buy this, but here you are! You've Got Money in Another Account: That offer of the £100 bonus for opening an extra account seems a no-brainer. However, a May 2013 study found that people tend to save more when they have just one place to deposit money. Researchers say that with one account it's easier to keep track of how much is in there -- and how much you're spending. When we have multiple accounts, it's easy to spend from one while feeling reassured there's money in the other account too. You've Got to Buy Something Embarrassing: To try and mask the embarrassing item in their basket, almost 80 percent of people will pile in unnecessary extras to divert the cashier's and other shoppers' attention, a Journal of Consumer Research study found. Online shopping could be the answer here! You Need Some Retail Therapy: It's common to feel the urge to splurge when emotions are high or mood is low. My research has also shown that 75 percent of women are more likely to overspend or impulse buy when treating someone else. Feeling low can lead to us literally trying to buy happiness and buying gifts for those we care about can help us feel more connected to them, as we say in Sheconomics. Of course, buying for someone else doesn't induce as much guilt either when money is tight. Thanks again to the Huffington Post for bringing these spending triggers to light, and for including Sheconomics in their article - it's always nice to reach out to our US readers - issues with money cross cultural boundaries and oceans too.